Meet our featured animal: the meerkat! 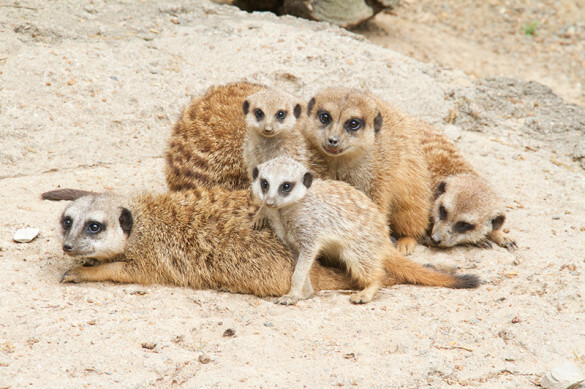 Meerkats live in groups of 20-50 extended family members in large underground tunnels. These family groups are called gangs or mobs. One of the most important roles a meerkat plays is that of the sentry, or watch guard. The sentry will stand on its hind legs, propped up by its tail, and act as a lookout while the rest of the mob is outside the burrow. Meerkats are specially adapted to living in the harsh desert environment. Dark patches around their eyes help them be effective lookouts by reducing the glare of the sun, much like a baseball player who paints dark lines beneath his eyes. A meerkat’s diet consists of mainly insects, supplemented by small rodents, fruit, birds, eggs, lizards, and even poisonous scorpions. Learn more at our meerkat facts page! Say hello to Billy and Rico, the two meerkat babies born on February 27. Photo by Laura Horn, courtesy of Memphis Zoo. 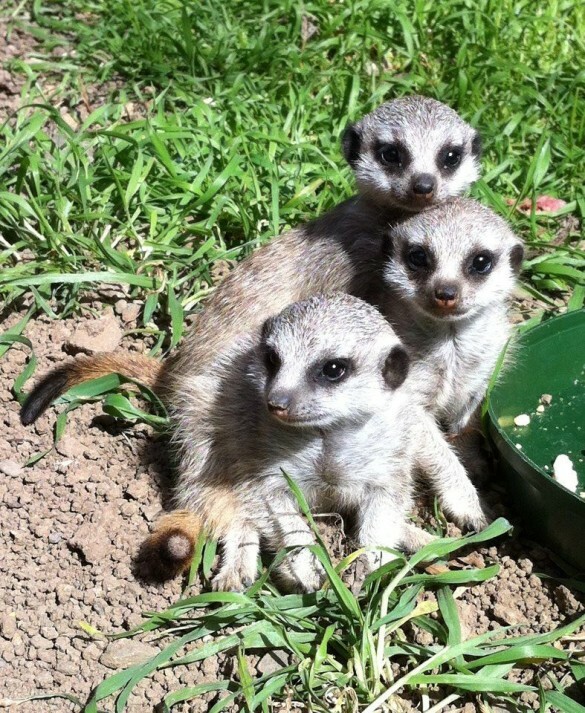 Two meerkat pups were born on February 27 to first-time mother Sunny at the Memphis Zoo. The babies, named Billy and Rico, are both male. Learn more about Billy and Rico at the Memphis Zoo website. 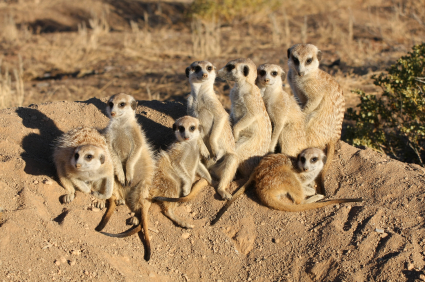 To find out more about meerkats, visit our meerkat facts page.